3D printers that used to cost more than $10,000 were now available for as low as under $1,000. The attractive price made 3D printing more accessible, which drove its use and adoption. 3D printing technology that had previously been relatively unknown had crossed over to massive appeal where even students are using it in classrooms. Depending on which side you are on, there are those who says that 3D printing is a fad that’s starting to fizzle. While on the other end of the spectrum, others believe it still needs time to realize its potential to be the next technological revolution, like computers and the Internet. Technology adoption, simply just takes time. Consumer 3D printing for personal use: The vision that one day desktop 3D printers will be put into the every home like laser or inkjet printers. The Promise of the Future: 3D printing applications that still needs to prove their viability on a larger scale. We’ve heard stories that 3D printing holds the promise of ending world hunger by 3D printing food, help us with our medical needs with 3D printed organs, or putting 3D printed cars on the streets. Much of the spotlight is focused on the mass adoption of 3D printing by consumers or the potential of 3D printing. There is a lesser emphasis on discussing the positive impact 3D printing has on organizations that already adopted the technology to help them realize real benefits now. When we break down 3D printers into different categories, the hype is usually centered on consumer 3D printers and high-end 3D printers. 3D printer prices can range from $500 to $500,000+. More expensive 3D printers typically give you better print quality, larger print volume, more selection in terms of materials you can print, and better print durability. High-end 3D Printers $$$$ High quality 3D printing typically reserved for larger companies such as Ford, Boeing, and GE. Mid-Tier 3D Printers $$-$$$ Typically small to medium-sized companies or organizations that use 3D printing due to its affordable price from a business perspective. Consumer 3D Printers $ Personal use for makers and tinkerers who use 3D printing for leisure or small-scale applications. Let’s look beyond the hype and examine concrete examples of how 3D printing has impacted different industries now. Since high-end 3D printers are expensive and normally only attainable by larger corporations, we’ll focus on organizations that use mid-tier 3D printers that offer value–providing good quality 3D prints without breaking the bank. It’s hard to find a great pair of shoes that fit your feet well. Feetz is the first company to use 3D printers to produce custom-fitted, sustainably-made stylish shoes. Founded in 2013, the digital cobbler is on a mission to revolutionize footwear so every shoe is made custom fit using a smartphone and a 3D printer. The shoes aren’t a gimmick. They are meant to last. Each pair is guaranteed for 500 miles of walking. When the shoes need to be retired, customers can choose to send them back to Feetz as they are 100% recyclable and the company can ship a new pair to them. 3D printers are great for mass customization because products can be tailored to each customer at a relatively low cost. Feetz use Axiom 3D printers to produce each shoe and it’s powerful and fast enough to keep up with demand. It has the capability to manufacture shoes out of comfortable, aesthetically pleasing materials without compromising on quality. Saleen Automotive was founded in 1984 and the name has become well-known as a manufacturer of high-performance street and track vehicles. The company has continually raised the standard for automotive design and performance engineering in both street and racing applications. Since 2013, the product design team has taken advantage of 3D printers for building large-scale prototype parts to improve their designs and to accelerate their product design cycle. Photo: Rapid prototyping a car shift-knob design using a 3D printer. Saleen also use the 3D printer to manufacture small functional parts that are strong enough to go directly into their automobiles as well as developing parts including window louvers, exhaust tips, butterfly mechanisms, light bezels. Nat Ellis, Head of Visualization from jbA, has been using a 3D printer to produce 3D renderings of all their architectural designs since 2013. Nat believes the investment into 3D printing technology provided his firm a competitive advantage over other agencies who depend on older methods of rendering. The 3D printed models that jbA produces with a 3D printer are scaled perfectly to bring 2D blueprints to life. People have a tendency to visualize better in 3D than 2D. You can see the 3D printed model physically from different perspectives. 3D printed models are great at displaying spatial relationships and scale in ways that traditional rendering cannot. 3D printed figurine standing in the room helps to determine what this room will look like when it is occupied and the scale. Lighting can be adjusted outside the model to see how the aesthetic will change throughout the day. Architects are skilled in making 3D rendering possible with CAD so it’s an easy transition to transform digital CAD drawings into 3D printed models using a 3D printer. If you are already using software such as Google Sketchup, it’s easy to use along with a 3D printer to make this happen. Medical applications in 3D printing transform people’s lives in such a positive way. Faith Lennox is a 7-year-old girl whose arm was amputated due to a condition called compartment syndrome she had at birth. Faith is a very active girl who likes to bike, surf, and play sports such as baseball. She needed to get an artificial limb that would be functional, affordable, comfortable, and she would enjoy wearing. The new hand will help Faith alleviate the back pain she has as a result of her unequal arm length. Traditional prosthetics can be costly with a price tag of upwards of $30,000. Considering that Faith is at the age when she’s growing up fast, she would need to replace her prosthesis every 1 to 2 years. The cost of the equipment would be very expensive for any family to bear. Luckily with the partnership of E-Nable, BUILD IT Workspace, and AirWolf 3D, Faith’s new hand cost her family just $50! Her new hand took less than a month to design and it was printed in 24 hours. Faith’s new 3D printed hand has a simple yet modular design that allows her to modify, repair, and replace the unit with minimal time, cost, and effort as she grows. Besides building robotic limbs, other medical applications to 3D printing already in place today include 3D printed prosthetics, braces, and foot orthotics. ActivArmour is a waterproof, breathable, custom 3D printed splint that provides an affordable alternative to traditional medical casts using 3D scanning and 3D printing technology to improve patients’ comfort. Wiiv provides custom fit 3D printed insoles for comfort and performance. After looking at these examples, there appears to be a recurring theme. 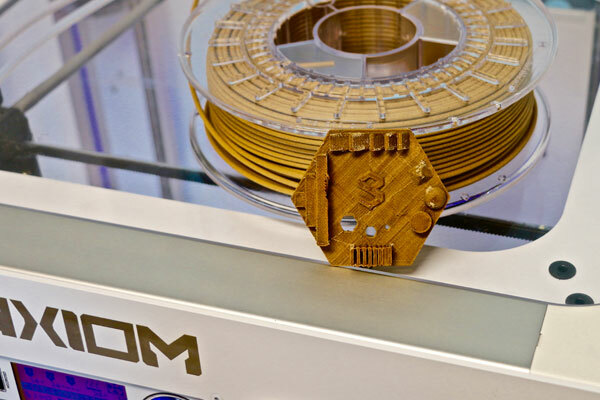 The cost of owning a 3D printer along with the associated materials costs enable organizations to customize their products on a personal level at an affordable price. 3D printing is a flexible technology that can be adapted into various industries to realize its benefits, in terms of reducing cost, streamlining processes, driving innovation, and helping people out in their daily lives. As more 3D printing process patents expire and 3D printing improves and evolves by providing even better technology at a lowered price, we hope to see more and more businesses benefiting from the use of 3D printing. 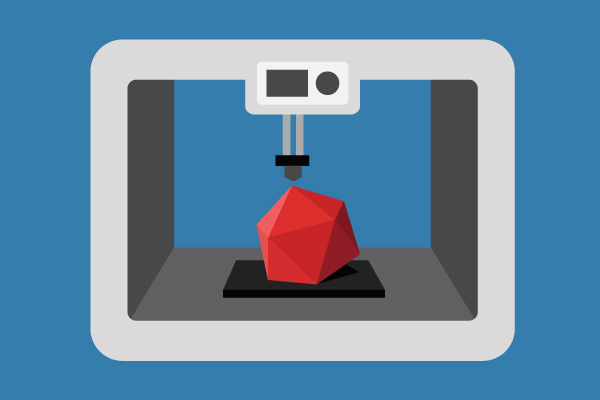 How Will 3D Printing Transform Your Business?